n this coming of age story, Fifteen-year-old Gwen Stevenson gets a chance of a lifetime. Escaping from the depths of small-town boredom, she finally sets her sights of embellishing the wonders of New York City. WELCOME TO HAMILTON ACADEMY, THE FINEST OF THE FINEST OF PREP SCHOOLS FROM ALL AROUND, WHERE OPULENCE DWELLS AND SECRETS ABOUND. Fifteen-year-old Gwen Stevenson gets a chance of a lifetime. Escaping from the depths of small-town boredom, she finally sets her sights of embellishing the wonders of New York City. While entering the halls of the prestigious Hamilton Academy, she meets reserved bookworm Kyle, Aspiring filmmaker Vera, Valley girl Shawnie, and gets an unexpected reunion from her two childhood friends, Maxine, a southern belle who plans take over the popularity food chain, and Mona, a reclusive rebel who has dreams of becoming a rock star. Gwen soon realizes that she is no friend of honor society president Bianca Walworth, who doesn't appreciate her longtime boyfriend, Chace, making flirty eyes with Gwen. Will there ever be solace in the city? 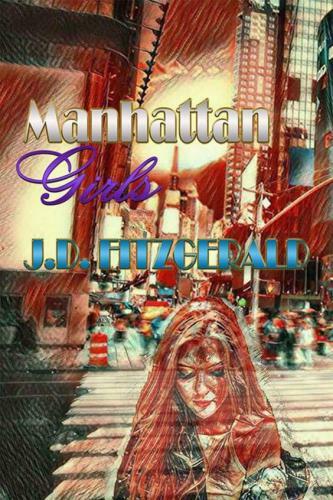 Manhattan Girls tells the coming of age story amongst a group of unlikely friends going through the journey of life beyond the Upper East Side.